Required space: 0.5 m2 (half a pallet). Installation time: Less than 1h, during production. Bacterial reduction: 99 % - 99.999 % given correct dimensioning and installation. Control system provide alarm for: reduced flow or UV-effect, lost/high pressure and automatically execute required action to safeguard effective treatment of the fluid. Suitable tank size, FluidWorker 300: 3 000-16 000 litre / 3-16 m3 (for larger systems, multiple FluidWorkers can be installed). 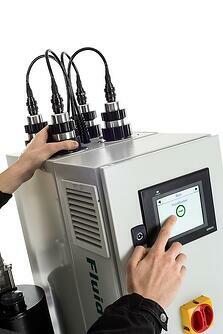 FluidWorker effectively reduces bacteria in process fluids. The fluid is irradiated with UV-C, which reacts with the bacteria's DNA and makes it unable to reproduce. The bacterial reduction is gradual over a few days with a total reduction of 99 % - 99.999%, given correct dimensioning and installation. 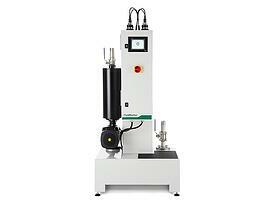 The total reduction depends on fluid system factors such as circulation, filtration, fluid condition etc. Safer work environment without biocides that can cause eczema, allergies, respiratory problems, sterility and cancer. Lower costs – the process fluid gets a longer lifetime and biocide-related expenses are avoided. Stable production – when the process fluid is continuously purified, the quality is maintained and less fluid changes is needed. Reduced climate footprint – Longer life of the fluid means fewer chemicals in circulation, reduced waste volumes and fewer transports associated with this. 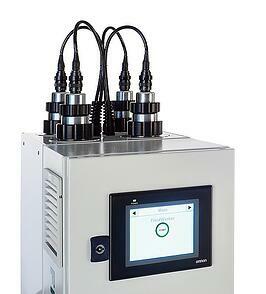 FluidWorker 210 and FluidWorker 300 are equipped with intelligent technology that monitors the fluid. Both are compact and ready to use on delivery. They are installed in less than an hour during production and no special qualification is required. 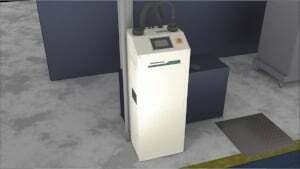 The system requires minimum handling and maintenance. We believe in long term relationships and are available for support and advice after installation. Learn more about how companies such as GKN Aerospace, SSAB, Siemens Industrial Turbomachinery and Outokumpu have improved their work environment and profitability. Jan has over 20 years of experience with process fluids within the metalworking industry. 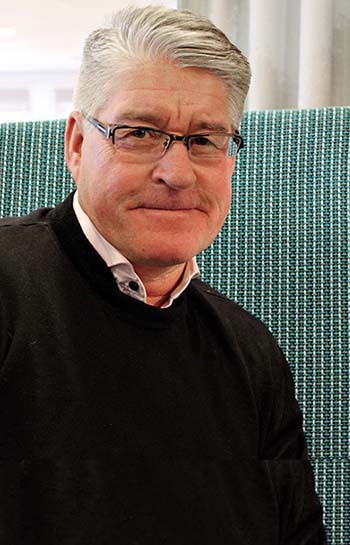 He has a great knowledge of the process fluid’s critical function, as well as its environmental impact. Book a free 20 minutes presentation with our experienced process fluid consultant by filling out the form below.